Back in 2010 (Sept. 14th, to be specific) I wrote a post that later became the basis for a story in my book, Life Lessons from the School Bus. If you don’t yet have a copy (you can order one), the following story, “Stop #13,” can be found on pages 45-46. 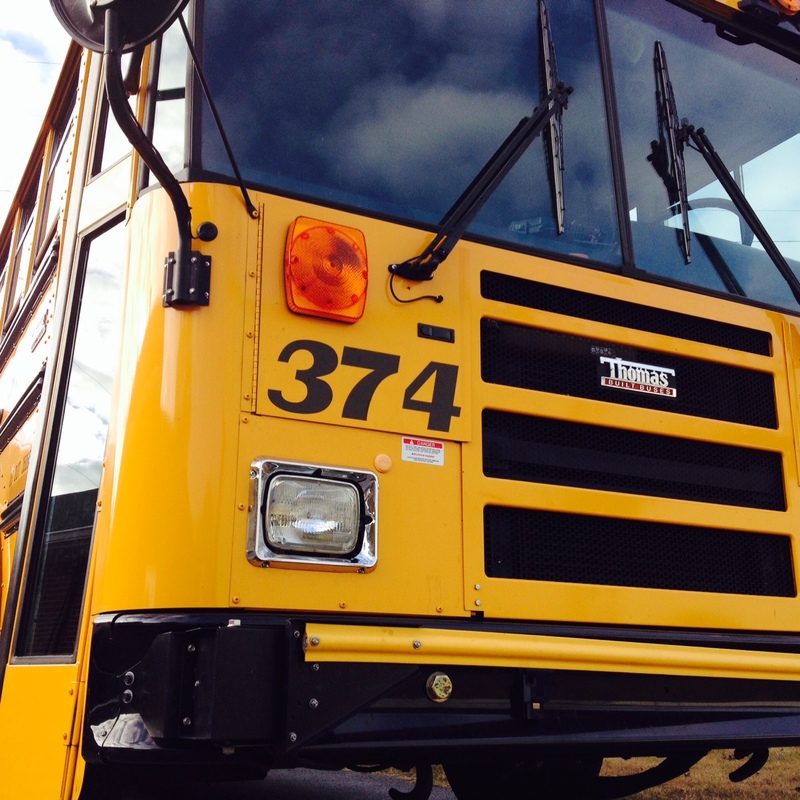 I am no longer a school bus driver, but the truth of this story remains the same: Sometimes bad things can hide in plain sight. 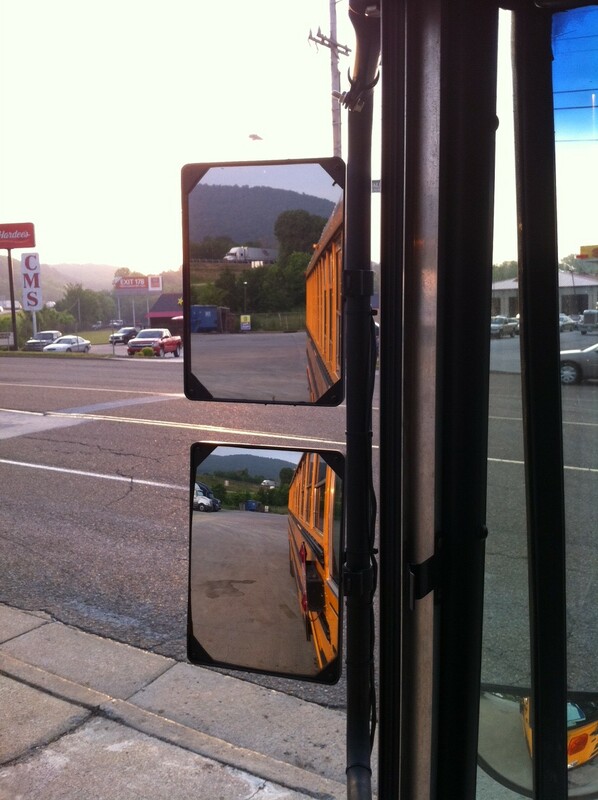 As you can see in the picture, a typical school bus has two mirrors immediately to the left of the driver window (besides the convex mirror below). With mirrors everywhere, driving is made much safer and easier, even in heavy traffic. What you don’t see is what is on the other side of the mirrors. I was beginning to exit a gas station directly across the street from another station, and a Hardee’s. I looked in every direction and checked my mirrors. Then, as I started to pull out, an 18-wheeler appeared out of nowhere…directly in front of me! It had been hiding behind the mirrors. Take a look at the picture. Right behind the top mirror sat a Peterbilt. I never saw it. What saved me was taking my time and being cautious. Had I rushed on forward I may have pulled right into the path of that big truck. Only going slow and expecting the unexpected made the difference. “Now therefore thus saith the LORD of hosts; Consider your ways” (Haggai 1:5 KJV). Do we stop to think about where we are going? Do we take the time to make sure there is nothing hidden behind the obvious? Sometimes our judgment can be clouded by the determination to move forward with our plans. Wisdom understands that the Enemy loves to capitalize on things hidden. For example, how many people have fallen into financial ruin because they rushed into a business deal or bought something too expensive? Many times there are dangers lurking in the fine print or hidden in words we don’t take time to understand. Even though the path may look clear, it never hurts to take one more look before proceeding. Ironically, big dangers can hide behind the very things meant to point them out. Never get too comfortable behind the wheel. Never make quick assumptions based on past experiences. Never let someone rush you into making an uninformed decision. Read Psalm 119:105…”Thy word is a lamp unto my feet, and a light unto my path.” How important is it to have a light when driving down a dark and unfamiliar road? Where does this verse say we can find light for the road of life? The road of life can be a dangerous place, dear reader. Why not follow the One who not only knows the way but IS the Way? Brewed from the freshest Arabica beans, one black over ice, the other with cream. 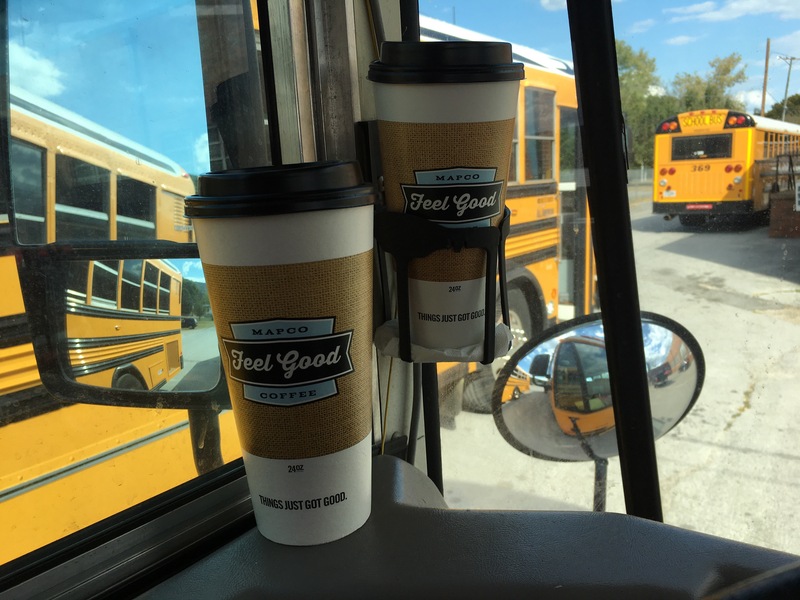 Both are cold, FYI…and both are mine to drink as I drive. A total of twenty-four ounces of java, and all it cost was a few cents and two dolla. A little while ago I was feeling a bit tired, but it won’t be long until I’m wired. I love my truck stop iced dual portion of caffeinated smiles to drink while in motion!